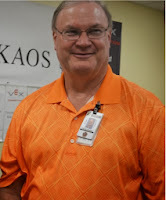 Paul has been a mentor on team 1429 since its inception. 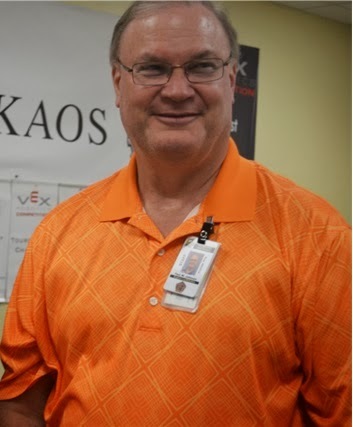 He teaches engineering and is one of the go-to mentors in Texas for help with building strong Chairman's Award presentations and teams. Paul has been working on inspiring students and improving their lives for many years. He talks below about his career teaching engineering and photography. My father worked for NASA here in Houston. My childhood heroes were astronauts and the space program. I guess I have always enjoyed working on, and building things. When I got to Galena Park, they needed a co-mentor for the robotics program. I didn't know exactly what I was getting into, but after one semester I found that robots was my new obsession. I learned a lot that first year, mainly studying how teams were organized and how they ran their program. I was drawn to how outreach programs helped inspire students. From that moment, I knew my calling was to the Chairman's program. I have never claimed to be a 'robot' person, but I do think I understand the workings of a successful Chairmans program, having won 4 RCA's. I have already picked up 2 new teams to help mentor for the 2015 season, so I am looking forward to a very productive year. I teach two engineering classes. These are both associated with the Project Lead The Way organization. The first one is Principles of Engineering, and the other is Aerospace Engineering. I also teach a Commercial Photography class. My favorite story is how we worked to change the culture of the students in our program. When I first started, our team president was a Hispanic female. She was also number one in her class. She was planning on going to the University of Texas and getting an engineering degree. Her father was very much against this, and told her that she should stay at home with the family. After many discussions with her parents, they finally conceded to letting her go and attend U.T. This paved the way for her two younger sisters who went on to graduate and attend colleges and enter the engineering program. That’s easy, the 2008 robot from FRC Team 1114, Simbot SS. Their solution to the autonomous (hybrid) period was truly ingenious. Then, their simple design helped them to dominate the 2 minute driver controlled period. My favorite program to use is Excel. I find I can use it for most document creation. I also use Photoshop and Coral Draw for graphic creations. The apps that I really like to use are Satellite Tracker, so I can watch them fly overhead at night, FRC Spyder to keep up with current scores from other regionals, and VEX Via to track VEX competitions. I do not have an office in the robotics room. I have to bring my materials with me. At home, I have a laptop set up on the table in front of the couch, so I can watch TV and work at the same time. I usually get to listen to the kids screaming and having fun. I am also indulged with their hip-hop music they like to have blaring in the robotics room. I prefer peace and quiet, but I give that up to have the kids be productive. My robotics work schedule is usually Monday through Friday 2:30 to 6:00 pm. Then, 9:00 a.m. to 6:00 p.m. on Saturday. Our school district does not allow us to work on Sundays. I don’t think that there is anything that I do that is better than anyone else. I do like to support my kids and help them succeed in whatever they are trying to accomplish. Never give up. Make your dreams a reality. This was told to me by my parents when I was going to college. This inspired me to finish and get my degree. I guess that I’m a Homer. I like to see teams from the United States win. The latest was watching Oracle Team USA come back from an 8-1 deficit, to defeat Emirates Team New Zealand in the 34th Americas’ Cup. The robotics team watched the final races with me in the room. "The crew of the space shuttle Challenger honored us by the manner in which they lived their lives. We will never forget them, nor the last time we saw them, this morning, as they prepared for the journey and waved goodbye and 'slipped the surly bonds of earth' to 'touch the face of God.'" Thank You for an Awesome T.R.I.